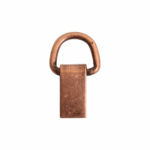 The Bail Hinged Loop is stamped from brass and is plated in copper, 24k gold and .999 fine silver and are sold in packs of 10 pieces per plate. 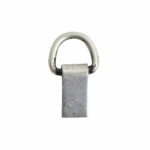 The flat part of the bail allows you to attach or embed it into Nunn Design 2-Part Resin, Crystal Clay or Polymer. 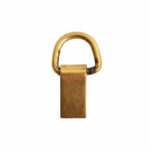 The loop is attached with a hinge, allowing the loop to move freely. 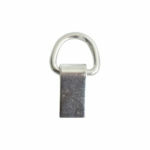 The Bail Hinged Loop really adds a level of professional finish to your jewelry making project.